KIEV, June 07. /ITAR-TASS/. An inauguration ceremony began at Ukraine’s parliament - Verkhovna Rada at 10:00 local time (11:00 Moscow time) on Saturday. The ceremony features 56 foreign delegations, where 23 countries are represented by their heads, prime ministers, parliament speakers and heals of international organisations. Russia is represented by its Ambassador to Ukraine Mikhail Zurabov. President Petro Poroshenko will be taken to oath by head of the country’s Constitution Court Yuri Baurlin, who will hand to the president the official symbols: a reference sample of the official seal, mace and the president’s sign in the form of a sash chain. Poroshenko will swear allegiance to the Constitution of the people of Ukraine and Peresopnytsia Gospel. During the ceremony, the parliament’s speaker Alexander Turchinov said at the hall were present the deputies, members of the government, and Ukraine’s former presidents - Leonid Kravchuk, Leonid Kuchma and Viktor Yushchenko. The ceremony is broadcasted live in six languages. “We are ready to announce early local elections in Donbass to form up a team to participate in negotiations,” he said. 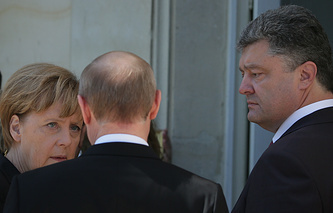 He added that Ukraine’s citizens would not feel secure until relations with Russia were settled. Poroshenko said in the inauguration speech “Crimea is and will be Ukrainian". “I made it clear yesterday (on June 6) to the Russian leaders - Crimea is and will be Ukrainian. Full stop,” Poroshenko said. “There cannot be with anyone a compromise about Crimea. The president stressed “any attempts to enslave Ukraine from inside or outside receive and will face most resolute rebuff. 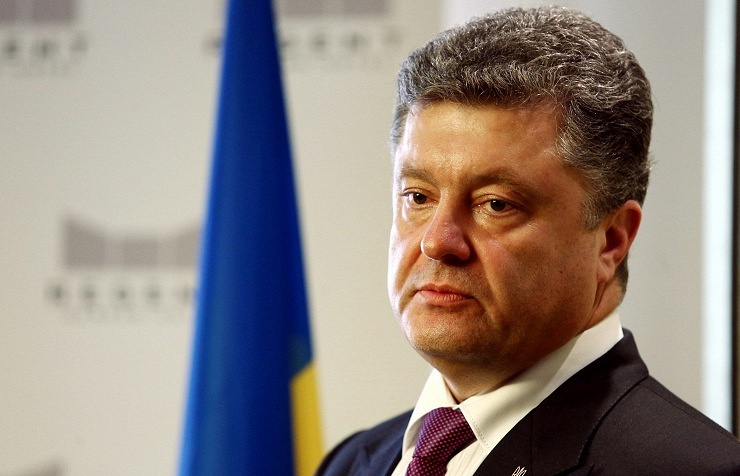 Poroshenko said the country’s only state language should be the Ukrainian language. Inspite of this he promised free development of the Russian language in the country.